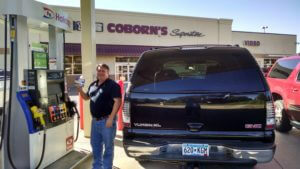 Biofuels have long been a focus for the Minnesota Corn Growers Association (MCGA). Investing nearly $23 million since 2008, here are a few highlights of how MCGA has worked to advance and expand the use of ethanol. The Minnesota Corn Growers Association is sponsoring “Tasseldega Nights” at Deer Creek Speedway this Saturday, July 16. Gates open at 3:30 p.m. and racing starts at 6 p.m.
It’s free. Yes, FREE! Minnesota’s corn farmers are covering your admission. Heavy afternoon rains, and even a little bit of flooding in the area, didn’t stop hundreds of people from having a good time at the Minnesota Corn Growers Association’s (MCGA) inaugural Kernel Nation event in Albert Lea last week. The event was such a hit that MCGA is bringing Kernel Nation to Willmar this Thursday. Full details can be found at KernelNation.com. The engines were loud, the smiles were wide, and the ethanol information was prevalent on Saturday at Tasseldega Nights 2016 at Elko Speedway. More than 7,000 people turned out to watch a night of ethanol-powered racing, with free admission sponsored by the Minnesota Corn Growers Association (MCGA). 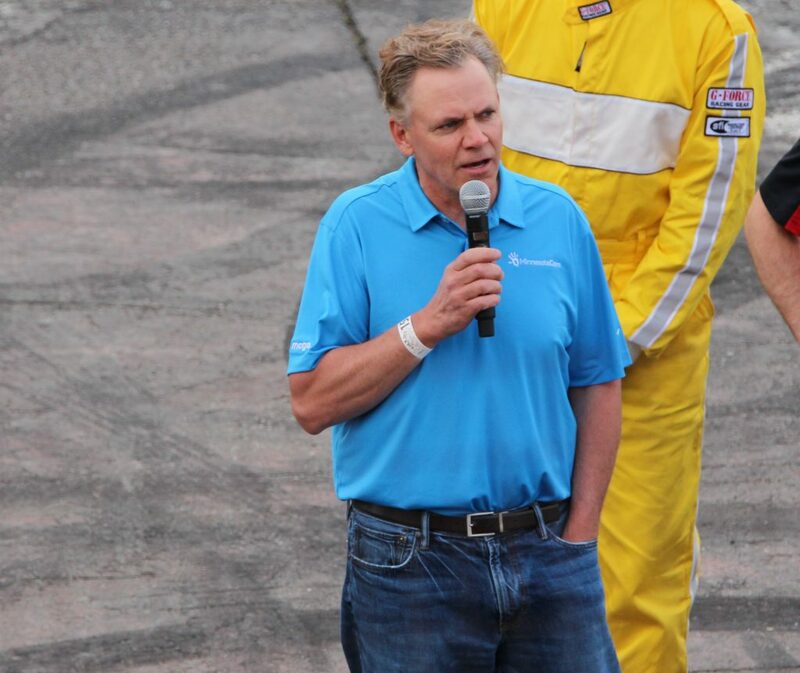 Past MCGA President and Northfield farmer Bruce Peterson addressed the capacity crowd before racing began on Saturday. For the third consecutive year, racing fans at Elko Speedway and Deer Creek Speedway will receive free admission during “Tasseldega Nights,” a special family event brought to you by the Minnesota Corn Growers Association (MCGA) to promote clean, renewable, homegrown ethanol fuel. If you have a friend who remains skeptical about ethanol’s air quality benefits, or you know a local mechanic who clings to the belief that ethanol damages engines, you’ll want to send them to FuelingTheTruth.com. The new website from the Urban Air Initiative cuts through all the myths, misinformation and confusion put out there by ethanol’s critics and gets right down to the facts. Better farm prices are right around the corner and farmers, the eternal optimists, want to be ready. So this year, at Commodity Classic — the annual gathering of the National Corn Growers Association, American Soybean Association, National Association of Wheat Growers and National Sorghum Producers — for the first time ever included the Association of Equipment Manufacturers, who brought an expanded trade show exhibition. When gates opened for Tasseldega Nights at Deer Creek Speedway just south of Rochester on Saturday afternoon, race fans kept coming, and coming, and coming, and coming…. Minnesota’s corn farmers are bringing their ethanol-fueled free racing promotion back to Deer Creek Speedway this summer. On July 11, fans receive free admission to Deer Creek Speedway as part of “Tasseldega Nights,” presented by the Minnesota Corn Growers Association (MCGA). Grandstands open at 2 p.m. for free kids activities, live music and other attractions. Racing starts at 6 p.m. Deer Creek Speedway is located about 15 minutes south of Rochester on Highway 63. After a successful launch last year, the Ethanol Cup is back for the 2015 racing season at Deer Creek Speedway in Spring Valley and Elko Speedway, about 15 minutes south of the Twin Cities.